Despite a recent spate of bullishness, Microsoft has seemingly conceded what the rest of the tech world has known for a long time: Windows Phone is still miles away from competing with iOS and Android. During a financial analyst meeting on Thursday, Microsoft COO Kevin Turner reportedly called the OS a 'distant third' to the Apple and Google-made smartphone software. According to Microsoft blogger Paul Thurrott, Turner said there was still 'lots of work to do' before the big two can become a big three. Microsoft's market share has improved in the last year, without putting too much of a dent in its rivals' virtual duopoly. Turner also admitted that Microsoft had endured some teething problems during its transition from a software company into the PC and tablet hardware market. Thurrott tweeted: "Turner: OEM channel had 'consternation' when MS entered the HW business with Surface." We can imagine those same manufacturers were probably more upset with Windows RT falling flat on its face than anything else. 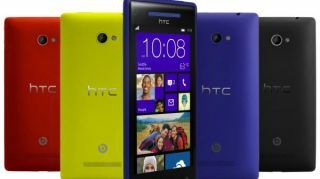 Unconvinced by Windows Phone 8? Perhaps WP9 can win you over. Here's the latest news, rumours and release speculation.